Think Cancun and you probably don’t immediately think tranquillity, but you’ll find it in abundance at the beachfront Nizuc resort. Nizuc is surrounded by inviting turquoise water that’s begging to be explored. 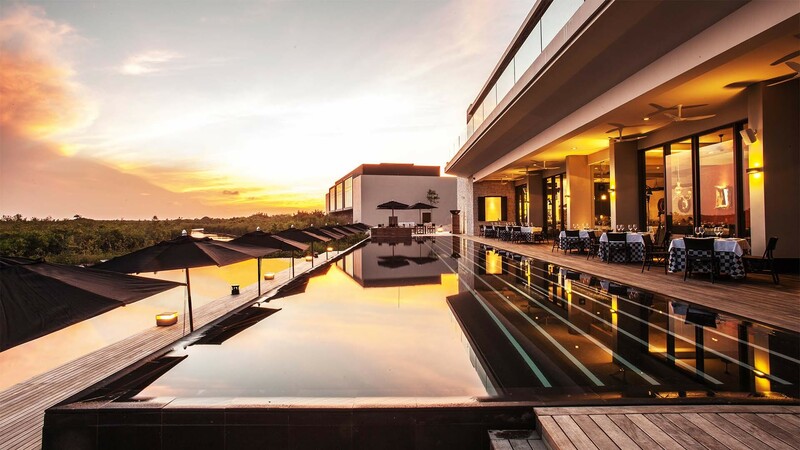 Be prepared for plenty of sunsets and swimming pools at the pretty resort. 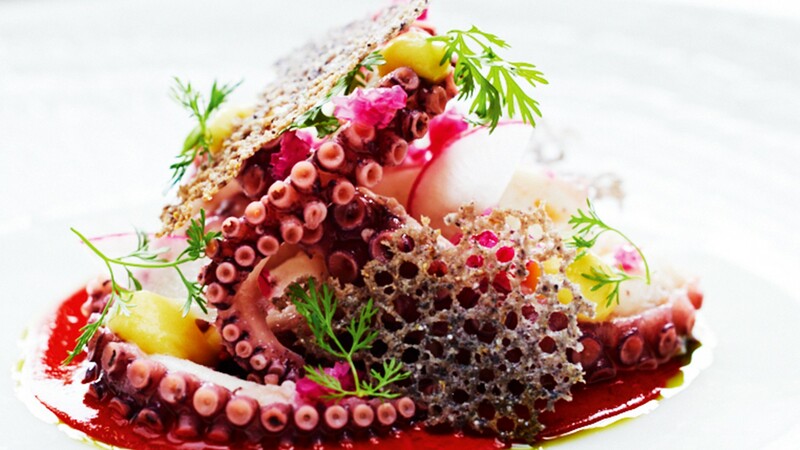 Fresh local seafood is prepared in inventive ways at Ramona restaurant. It’s a pretty safe bet the guys wearing giraffe costumes on the plane to Cancun weren’t seeking sophistication, culture and fine dining. Night life in Mexico’s party city is legendary, with clubs, bars and casinos to suit every taste and pocket. By day, the Yucatan Peninsula’s idyllic Caribbean-style climate, sable sand beaches and clear, clean seas make Cancun pretty much hedonism central. But, should you be searching for a dash of culture with your margarita, you’ll find there’s more to Mexico than stag dos, tequila shots and tacos. Wildlife spotting needn’t be confined to Cancun’s club scene. If you can tear yourself away from the sun bed, sprawling coral reefs and unique marine habitats will bring out your inner David Attenborough. From majestic lemon shark to rare and endangered sea turtles, the warm seas of the Yucatan Peninsula are teeming with aquatic exotica. Feel like acting out your very own version of Jaws? Why not indulge in Cancun’s latest craze, swimming with whale sharks. If you prefer your sea life on a plate, you’ll be spoiled for choice when it comes to eating out. As well as its own fabulous traditional Mexican fare, Cancun has absorbed and elaborated upon cuisines from all around the globe. Talented chefs are creating a culinary gold rush in this corner of Mexico and the standards are very high. But what, you may ask, distinguishes Cancun from any old destination with pristine beaches, exquisite food, banging nightlife and winter sun? Well, that will be the 4,000-year old Mayan culture. Mexico’s mystical Mayan ancestors knew a thing or two about living the high life and their legacy reverberates around the Yucatan Peninsula today. So why not follow square mile’s ten-point plan and make like a Mayan in Mexico. Once a base for Mayan astronomers, this heavenly beachfront resort has welcomed everyone from Courteney Cox and Ricky Martin to world leaders seeking a celestial getaway. 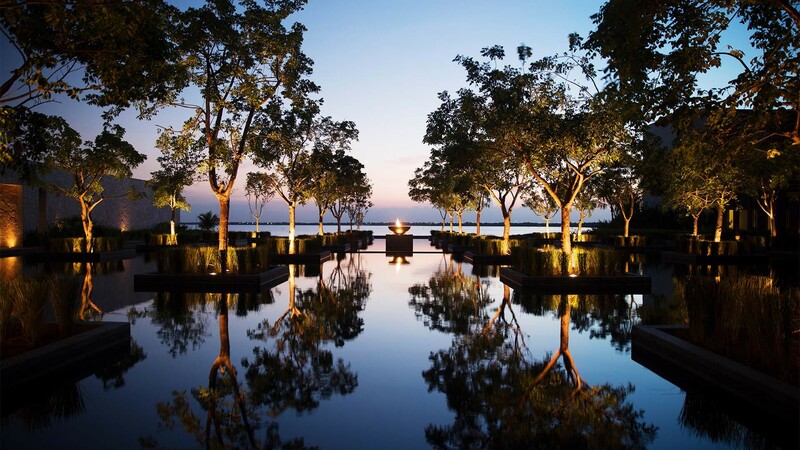 Just 15 minutes from Cancun airport, Nizuc is the only Mexican-owned, five-star resort in the region. Set within a 29-acre natural nature reserve, many of the loft space-sized suites and private villas feature monumental bathrooms with private gardens or terrace with plunge pool. 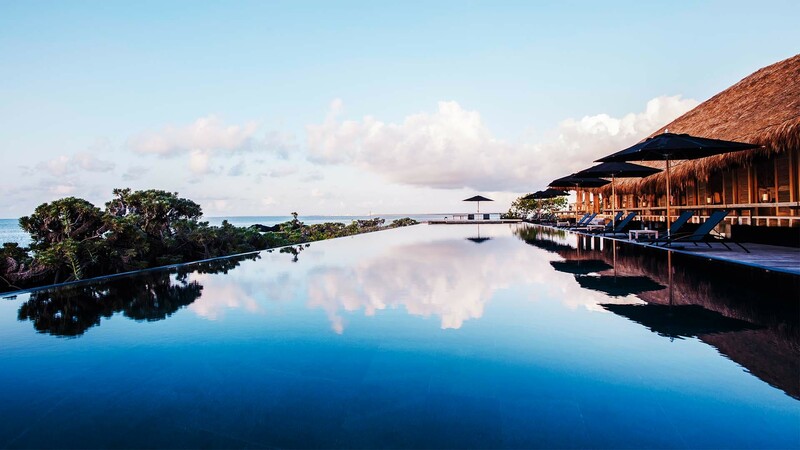 Five swimming pools, one adults-only, and two secluded beaches mean never having to scrabble for a sun lounger or sumptuous cabana. For families, a separate kids’ club keeps everyone happy. Think tranquil pools, tropical gardens, blonde beaches and a peppermint sea, plus legions of smiling, courteous staff (who doesn’t love butler service?) – and Nizuc nirvana is all yours. By visiting one of the ancient architectural sites of Tulum, Chichen Itza and Ek’Balam, you’ll discover how the brainy Mayans discovered chocolate (well, cacao actually) describing it as ‘the food of the gods.’ Early ecologists, they respected the natural world, used honey for medicinal as well as culinary purposes, searched the stars for enlightenment and developed their own calendar and writing system. As well as coming top in arts, architecture and science, these clever clogs party people also loved dancing. These ancient cities are a tribute to the civilisation which forms the foundations of contemporary Mexican culture. Learn more about Mayan ingenuity at this modern museum displaying more than 400 pieces found at key sites in and around the peninsula. Ranging from sculptures to ceramics and jewellery, it’s a chance to marvel at what the resourceful, artistic Mayans achieved all those centuries ago. The admission price also includes access to the adjoining San Miguelito archaeological site. Ready for your geology lesson? The Yucatan peninsula is composed of porous limestone through which rain is filtered creating a vast network of underground rivers, lakes and caves. When the limestone surface collapses, cenotes (flooded caves) are formed. Mayans regarded the cenotes as sacred as they provided a constant source of fresh water. There are countless opportunities to join scuba diving expeditions to explore these subterranean phenomena. Expect iridescent colours, exotic flora and fauna, stalactites and stalagmites. It’s another world down there. An underwater sculpture park may sound bonkers but it’s all about the interaction between art and environmental science. Comprising more than 500 life-sized and monumental sculptures, snorkelling through one of the world’s largest, most ambitious subterranean art attractions is a bizarre and unique experience. All of the sculptures are fixed to the seabed and made from specialised materials used to promote coral life. How the Mayans would have approved. If you’re way too relaxed to stray far from the beach, Nizuc’s six restaurants can whiz you away to another culinary world. From Italian to Peruvian, Asian to French, breakfast, lunch and dinner can be a trans-global gourmet experience. For a real taste of Mexico, Ramona – Nizuc’s flagship restaurant – serves traditional cuisine in exotic and imaginative ways. Chef Eduardo Torres mines his Mexican roots to reinterpret authentic dishes and elevate them to haute cuisine status. Served with all the precision and élan of a Michelin-starred restaurant and featuring some unusual local ingredients such as nopales cactus and tiny, tongue-tingling and crunchy grasshoppers, Ramona’s menu is the complete antithesis of Tex Mex fast food. 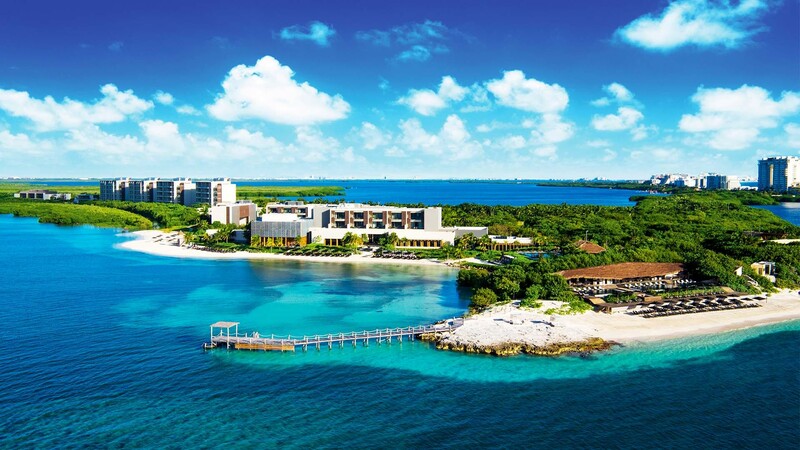 OK, you may not have the beach to yourself but a day trip to one of Cancun’s nearby islands is not to be missed. Cozumel is the most famous – and the most popular – so as a somewhat less frenetic alternative, the Isla Mujeres, only five miles long, is a delightful fishing community with stunning beaches, relaxed restaurants and great snorkelling. Even more laid back is Isla Holbox. Mostly undeveloped with a virgin beach and shallow jade waters, it’s part of the Yum Balam Natural Reserve so there’s not much more to do than grab a hammock and chill out. If you’re tired of the supine life then it’s time to explore Xplor. This all-inclusive eco adventure park, just south of Playa del Carmen, comprises a collection of shriek-inducing activities from whizzing around on the highest zip wires in the area to driving amphibious vehicles through the jungle, rafting through subterranean caverns and swimming in an underground river spiked with stalactites and stalagmites. Not for the faint hearted. The Nizuc Resort’s spectacular, purpose-built Spa by Espa features holistic Mayan-inspired therapies focussing on the spiritual as well as the physical. To spread the love, anyone booking a treatment receives an hour-long complimentary Nizuc Thermal Experience. Guests are guided by experienced therapists through the beautifully designed hydrotherapy circuit and treated to a mini massage afterwards. All this is but the hors d’oeuvre to the main-course treatments. Try a muscle-melting two-hour Mayan Cocoa treatment. Using purest, fragrant cocoa oil, it will send you to heaven and back. It has to be Coco Bongo. It’s big. It’s brash. It’s Cancun’s largest club and it’s all-inclusive. Between glitzy shows, DJs bash out the latest dance hits until the early hours. There’s no dress code so don’t be surprised if you see a bunch of guys wearing giraffe costumes.